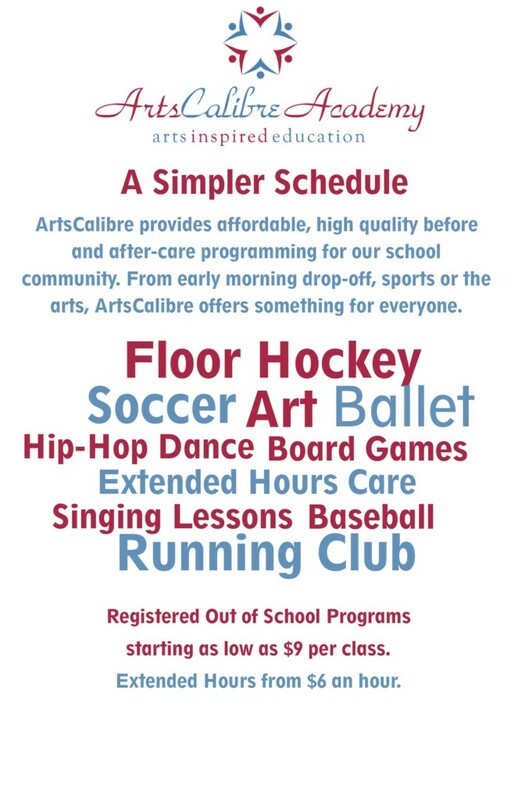 ArtsCalibre provides high quality programs for today’s families. Whether it be a registered early morning drop-off, sports, study or the arts, ArtsCalibre programming has something for everyone. 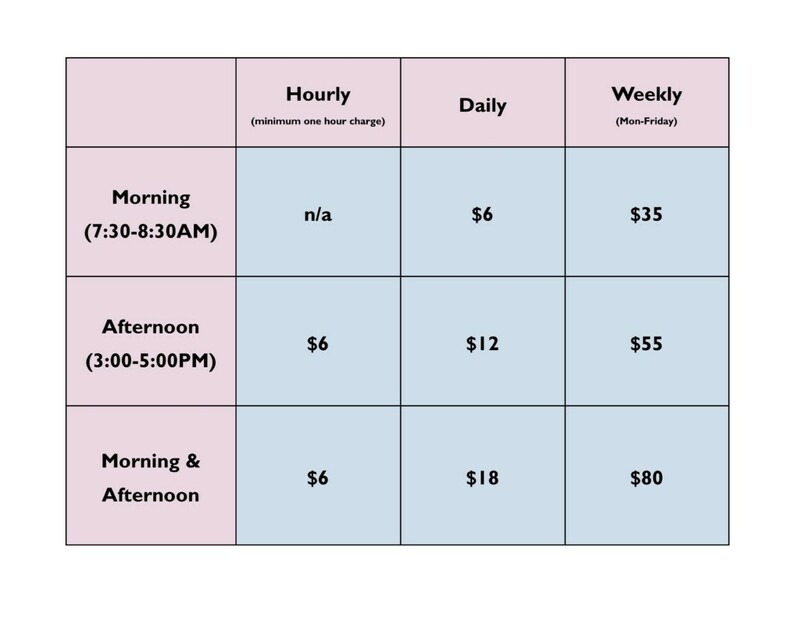 Developed with working families in mind, ArtsCalibre’s provides an affordable, flexible and convenient care for ArtsCalibre’s school community. Our program will be facilitated by ArtsCalibre’s qualified staff and be consistent with meaningful programming ArtsCalibre families have to come to expect. ArtsCalibre’s Before & After School Care will provide students with the opportunity to socialize and synergize with friends and classmates in a positive environment outside the classroom. Student lead activities and project based learning will be encouraged and welcomed, as well as just hanging out in the library with a good book or a sketch pad! 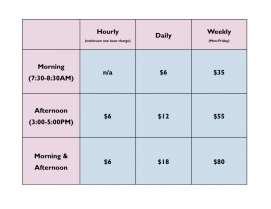 Our program is designed to be flexible; families can pick and choose from one afternoon or morning a week, to full care from Monday to Friday, or simply utilize the extended care option (until 5:00PM) if the 4:00PM end time for or registered after school programs such as Art or Floor Hockey proves difficult for your schedule. 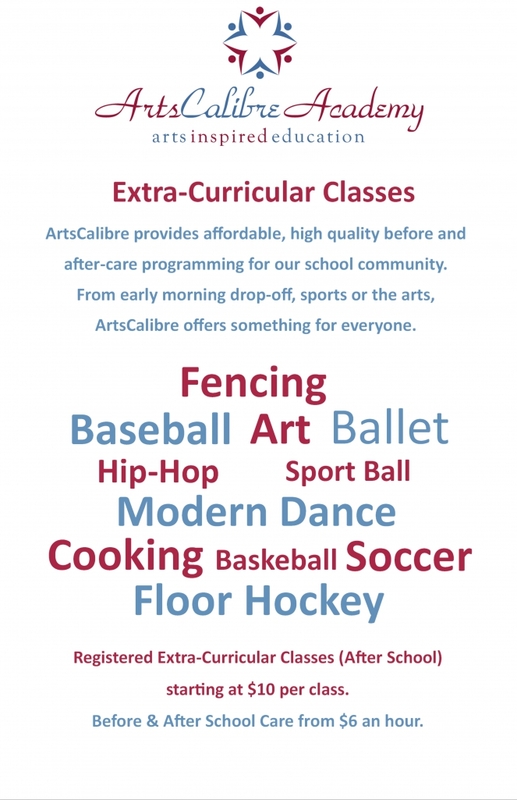 ArtsCalibre is pleased to offer a diverse range of Registered Extra-Curricular (After School) Classes. For more information on programming please contact ASC Coordinator, Blair Martin by e-mail.